Our 2+2 programme partnership with Southwest Petroleum University (SWPU) in Chengdu, China, involves two undergraduate degree programmes within the School of Earth and Environment. A recording of our on-line information session is now available - view here. In today’s global workplace, organisations demand highly flexible employees who can work collaboratively across different continents. The competitive advantage that comes from an awareness of different cultures means that degrees with an international dimension are highly valued. Our 2+2 partnership programme provides this global outlook by combining two degrees. It involves 2 years of study at SWPU followed by a further 2 years of study in the School of Earth and Environment. At the end of the 4-year period, students graduate from both universities. By studying at two renowned institutions, you’ll benefit from complementary academic expertise and you’ll experience a range of learning styles, thus broadening your personal and professional horizons. The programme culminates with the award of two internationally recognised degrees, equipping you for a global career. You’ll have the flexibility to develop your interests and career during both phases of the programme, each of which has its own suite of compulsory and optional modules. Visit our course pages for detailed information about the structure and module choices. For admission to Leeds you’ll need to have successfully completed Years 1 and 2 at SWPU with an average mark of 75% or higher. You also need to achieve the standard English Language requirements of IELTS 6.0 or an equivalent English language qualification. Once you are registered at Leeds you’ll receive a scholarship towards the international tuition fee. 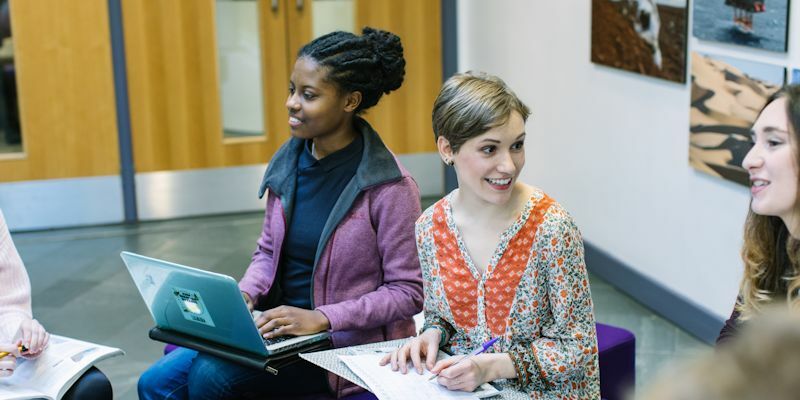 This is provided as a partial fee waiver for each year of study at Leeds, subject to making satisfactory academic progress. The solid scientific basis of your studies and the fieldwork involved gives your combined degrees an enhanced value in a number of employment sectors. Oil and mineral industries are the traditional employers, but you’ll also be well suited to opportunities in new and expanding areas of engineering and environmental protection. The transferable skills (including teamwork, problem solving and data handling) that you acquire throughout your programme will also mean that you’re highly regarded by employers. A vibrant city surrounded by beautiful countryside, Leeds is at the heart of the UK. Our campus is a ten minute walk from the city centre and as a student here, you’ll have access to a thriving cultural centre, hundreds of bars and restaurants and some of the best shopping in the UK. Find out more about life in Leeds. On successful completion of the 2+2 programme, you can apply to extend your studies by a further year, to complete a Leeds Masters (MSc) degree. Direct progression to a Leeds research degree (PhD) is also an option, also subject to your grades. An alumni bursary contributes to the postgraduate tuition fee if you choose either route. You should apply through SWPU by contacting Ms. ZHOU Yaqian. Further guidance is available from the University of Leeds team based in China and you are encouraged to make contact before applying. The team will advise you on the process and how to guarantee a place in University of Leeds accommodation. If you have any questions about the 2+2 programme or studying at the University of Leeds please contact our admissions team or the Leeds-SWPU link tutor Associate Professor Dr Steven Dobbie.